We are committed to providing better healthcare, improved relationships, and a greater quality of life for our residents and their families. In addition to our primary services, many EmpRes locations also offer supplementary care options to meet all aspects of your care needs. If our center cannot provide the care you need, we will happily direct you to the best options in the community. Looking for care options in the comfort of your home? Check out our home services at Eden Health. Temporary residence with all the perks. We understand that many factors can necessitate temporary placement in a warm, welcoming environment that provides skilled nursing care. Our short-stay program, also known as Respite Stay, provides time you need with the peace of mind knowing your loved one is cared for in a comfortable and supporting place. We treat our Respite Stay residents with the same compassion and commitment to caring that we offer all our residents. Respite Stay guests enjoy the same services, amenities, and support as residents. Accommodations include 24-hour staffing, three prepared meals per day, housekeeping, daily community activities, social dining, and assistance with health and personal care needs. In addition to the benefits of physical care, our respite stay residents often make friendships that enrich life in a way that only connecting with others can. 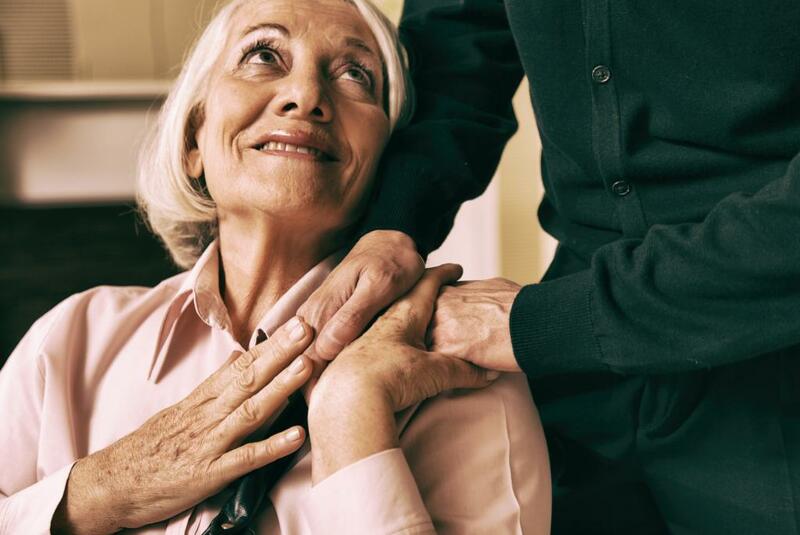 As a caregiver, you might also consider a respite stay for your loved one when you need a break: whether it’s for work, a vacation, or just a much-needed breather. A short-term respite stay can help you experience what an EmpRes community has to offer and see how you fit in with the residents who live there before you decide to become a full-time resident. Customized care plans and supportive amenities and services. We understand that facing a loved one exhibiting symptoms of Alzheimer’s or a related dementia can be a confusing and troubling time in your life. We will help you to understand the disease and gain knowledge about the best methods of care for your loved one. Physical, emotional, and spiritual comfort. We understand this is a challenging time for you and your family. To enhance quality of care and life, EmpRes strongly supports your right to make decisions about your care, including whether to accept or refuse life prolonging measures and treatments. We work together with you and your family to provide support and information for proactive self-advocacy and care decisions. We offer dignified care, symptom management, and physical, emotional, and spiritual comfort to individuals suffering from a life threatening illness. Our team collaborates with you and your physician to maximize your quality of life by developing a plan of care based on your diagnosis, symptoms, and other individualized needs.